Model HFBH-9501-A Production Bellows-Liquid-Hydro-Forming Machine : Hydroforming Bellows : American Machine and Hydraulics, Inc. 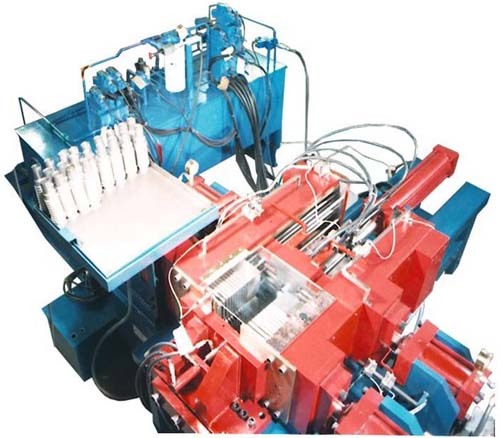 The model HFBH-9501-a is a unique one of a kind production bellows-liquid-hydro-forming machine for high volume bellow production. It is completely self contained with (2) separate hydraulic power supplies; one to operate the machine and one to pressurize the tube. A plc system controls all manual and auto form cycles. This unit forms in the horizontal position and can form from 3" (76.2mm) to 40" (1016mm) of preformed tube length. It can form from 1/2" (12.7mm) to 5" (127mm) of preformed diameter. It is ideal for high production depending on tube length and diameter. One bellow can be formed in 5 to 20 seconds depending on diameter and length of tube. It is manual load and unload. AMH has designed a unique die separation system for establishing preform pitch distance of the dies. Tooling can normally be changed in 2 hours. 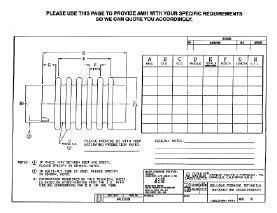 NOTE: The form is rotated so that it may be properly printed.